Abnormal immune regulation was noted in the nascent years of immunology. Anaphylaxis (1902), the Arthus reaction (1903), and serum sickness (1906) were regarded as “allergy”, or altered reactivity, and auto-antibodies, e.g., antibodies directed at autologous tissue, was first shown as clinically relevant in 1904 by Donath and Landsteiner. They demonstrated that a rare hemolytic anemia, paroxsymal cold hemoglobinuria, was caused by an auto-antibody that binds to erythrocytes at low body temperatures and initiates complement-mediated lysis upon warming. These early successes of immunopathology were followed by what has been called the “Dark Ages of Autoimmunity”, where, following the first decade of this century, little progress (or attention) was made in this area of investigation for 40 years. The pendulum swing from a biological to a chemical orientation was reversed in the 1960’s, when observations in the diverse areas of tissue transplantation, tolerance, immunodeficiency and immunopathology demanded a more biological orientation. 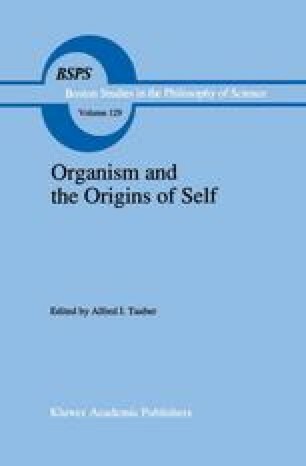 Root-Bernstein offers a lucid up-date of this complex area and suggests a novel theory to coordinate the diverse characteristics of the autoimmune problem that strikes at the very notion of the Self in complex animals. The conceptual issues however date to the intellectual infrastructure of immunology as first formulated by the early immunologists.